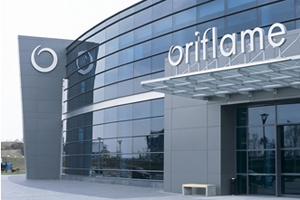 Swedish cosmetics firm Oriflame has hosted its annual sales incentive and conference for 4,200 delegates in Malta. Oriflame sales consultants from Russia, Ukraine, the Middle East, and Africa joined in Malta for the largest conference the island has ever hosted. Oriflame international conference and event manager Tjasa Avgustin told C&IT the event was a chance to "ignite and reward people". The budget for the event was €8m (£6.6m). The company has more than three million consultants across the world, and its top sales people attended the event from 29 August to 4 September. Following the event at the Malta Fairs and Conventions Centre - which is a tension fabric structure similar to the O2 in London - there are now plans to build a permanent convention centre for 10,000 delegates at the same site. Read the full case study in C&IT Europe winter edition 2010 - out at Eibtm.